Some interesting news from the map world. 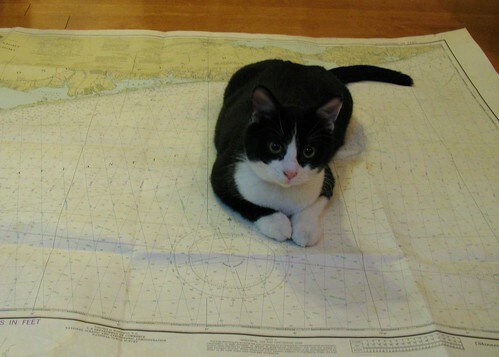 The National Oceanic and Atmospheric Administration (NOAA) announced today that effective April 13, 2014 they will no longer print paper nautical charts. For those readers who are panicking and already drafting a letter to congress, there is no need to worry as you will still be able to get paper charts via print-on-demand distributors. According to the NOAA, the decision to stop production of paper maps was due to several factors including the decline for paper charts, the increase in both digital and electronic charts and finally, federal budget realities. The big change here is that the NOAA is getting out of storing a huge stock of charts that often take years to sell through. By fully switching over to print-on-demand charts, the NOAA is able to push out updates to distributers significantly faster (with monthly updates) and thus you are ensured that you have the most up-to-date version when purchased. If you use digital charts you will still be able to get them from the NOAA in a variety of formats including electronic navigational charts (NOAA ENC), raster navigational charts (NOAA RNC) as well as full-scale PDF charts as part of a brand-new pilot project. The new NOAA PDF pilot project looks very interesting. For the next three months they are offering 1000 of their most popular charts available in PDF format. They want to guage popularity and collect user comments before rolling out the entire catalogue. The biggest appeal of PDF charts is that they are easily viewable on many different platforms including phones, tablets and computers as well as easily printed out at home (though they are technically for reference only, not for navigation). While some people out there are wishing a happy solstice or patting everybody on the back with the start of summer we must never forget what June 21st is really about. 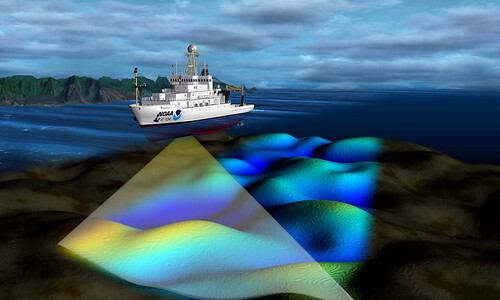 I want to wish you a very pleasant World Hydrography Day as proclaimed by the NOAA via their website. Ah, World Hydrography Day. That time of year when we are to remember and celebrate the great ocean surveyors of past and present. Without them we wouldn’t have those fantastic charts that both fuel dreams of future paddling trips and confuse new paddlers with all their symbols and squiggly lines. So after work when somebody raises a glass at your local patio to toast the start of summer, interrupt and tell them to shut up and remember the true reason for the season on this awesome day. Oh yeah, happy World Handshake Day or National Skateboarding Day if you don’t happen to like charts or maps. The U.S. Commerce Department's National Oceanic and Atmospheric Administration (NOAA) and American Rivers announced an $800,355 grant to renew their joint effort to restore streams and rivers in the Northeast, Mid-Atlantic, Northwest, and California.